Like most technologies that permeate society today, social media, as it turns out, originally came of age as a weapon. Though it was originally pitched as a peachy digital hangout for catching up with friends and as a platform for “activism” aimed at fostering “social good”, what it is really being used for today is as a battlefield for waging the digital warfare that has come to characterise society in the 21st Century. 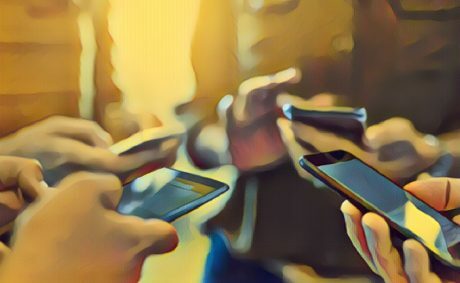 From petty bullying and slutshaming to election rigging and disinformation campaigns, social media has become a new non-lethal tool of conquest. To be fair, many technological advancements of note were forged in the cauldrons of mankind’s bloodiest and costliest wars. Computing machines, for example, found their first most valuable use as code breakers in World War II when a team led by no less than the father of theoretical digital computing, Alan Turing, broke the once-impenetrable encrypted messages generated by the Wehrmacht’s Enigma machine. The space race was motivated primarily by competition between the United States and the Soviet Union during the Cold War. And, of course, the Internet itself was the brainchild of the US’s Defense Advanced Research Projects Agency (DARPA) — an initiative to come up with a computer network that could survive a nuclear war. From research into the development of radar in World War II came the microwave oven — that mundane appliance that has enabled an entire generation of women to lead “supermom” lifestyles and “have it all”. Today is no different. Big value and big money in the social media industry, indeed, does not come from civilian peacetime application. It comes in the form of elections in “democratic” banana republics slanted to the agendas of world powers and in Big Data accumulated from the clicks and swipes billions of people perform on their mobile devices conscripted to the service of national spy agencies. More disturbing, rather than serve as a means to strengthen social networks, it seems social media is bringing out the worst in people. That’s not necessarily the case for all people, of course, as many use it as a means to stay in touch with real friends and family. It also depends on which side of the media equation one happens to be. The Internet has given a means for anyone with something of consequence to say to reach an audience at a scale once accessible only to capital-intensive mass media businesses. It also has, on the other hand, become a platform on which high quality content is left little choice but to compete with a deluge of low-quality — even dangerous — information people consume and share. Where then does the ordinary Netizen go from here? Suffice to say, at the centre of this “war” for eyeballs, likes, and retweets is the vast majority of users who now rely on the Net to source their news and get their personal validation fix. Can legislation protect them? Does the answer lie in “fact checkers” who “partner” with big social media platforms like Facebook? For that matter, will social media continue to be the dominant application of the Net? Are we overdue for that “next big thing” that nobody foresaw coming in from left field (in much the same way social media did in the early 2000s)? Nobody predicted the rise of social media in the early 2000s, its eventual supplanting of the dominance of mainstream media over the fabric of society, and its transformation from a platform for advocating “social good” into one used as an instrument of mass deception. In the same way, nobody will likely foresee what happens next and what unintended consequences lurk in the shadows as governments begin to intervene in an attempt to govern their proliferation and deepening influence on society. One can only hope that the human spirit is resilient enough to counteract or, at least, adapt to the, as yet, unforeseeable path our increasingly intimate relationship with information technology will take us. The Information Technology will continue its progress and advancement. Social medial is a tool; that can be used for good or for evil purposes. Politicians who tried to control the mainstream media, for their evil political purposes and political agendas, will have a hard time now, controlling the social media. Social media is here to stay, for good or for evil ! In this age of instant communication, emoticons are replacing words, body language replacing language and visuals replacing text. YellowTards who tried to block my blogs are just wasting their time. I have been doing computer works for the past 30 years. I went to college, for it…so I know the basics of how computers/internet function. Better, use your efforts and time in other useful things . The politician idiot who hired you are just throwing their money away. Anyway, it is not their money…it is stolen money from the taxpayers ! why is joma don’t want the pilipinos to prosper? …and president duterte just found the right weapon against communism of joma …. the MOU.